The streaming set-top box market has exploded recently, in spite of these features being included in new HDTVs, Blu-ray Disc players, gaming consoles, and even a select few cable boxes. Sony had their own offerings for years, including the recent box with Google TV. This fall, Sony will take on all contenders with their own PlayStation TV set-top box. Previously launched in Japan as Vita Plus, the PlayStation TV box will be available in North America for the acceptable price of $99, making it on level terms with Apple TV, Amazon Fire TV, and Roku 3. As with the competition, the PlayStation TV will not simply feature video and audio streaming, but will also focus on gaming. It seems like a step back for gamers, because each successive generation of game consoles was more powerful, but the casual gamer market has exploded and Sony is not unaware of this. PlayStation TV will feature games from the original PlayStation One console for download, and some PS3 games will stream through the box. The PlayStation TV will also extend PS4 games (for PS4 owners) within the home network to a second location via Remote Play. For this reason a gaming bundle will come with a DualShock 3 controller and an 8GB memory card for $139. So… What’s the catch? Game of Thrones is not included in this, and recent programs (Girls, The Newsroom, Veep, et al) will only begin streaming three years after the first broadcast. Also announced is the Amazon Fire TV will be receiving the HBO Go app, targeting a launch by year-end, so those who do have an HBO account (or borrowing one) and a Fire TV will have access to all HBO content. When you throw in discounts and free two-day shipping, how can you afford to not have Amazon Prime? Update: Corrected HBO Go availability on Fire TV from May 21 to year end. In a letter to shareholders, Netflix CEO Reed Hastings announced a price increase for new users to Netflix. In the U.S. we have greatly improved our content selection since we introduced our streaming plan in 2010 at $7.99 per month. Our current view is to do a one or two dollar increase, depending on the country, later this quarter for new members only. Existing members would stay at current pricing (e.g. $7.99 in the U.S.) for a generous time period. These changes will enable us to acquire more content and deliver an even better streaming experience. This is nothing new, nor unexpected. Netflix had previously raised prices by decoupling streaming from DVD-by-mail, and to Blu-ray Disc subscribers. With the amount of content Netflix has been buying, including original content, it was all but inevitable costs would go up. And that’s not including the costs Netflix have paid to Comcast to keep their streaming bandwidth high. What was I thinking when I ordered you to buy a Chromecast? It was cheap, and it had loads of potential. Since then, Chromecast has been shut down by some sites, and not many have signed up to be on Google’s streaming stick. Which means Roku had a great opportunity to revamp their own Streaming Stick, adding some of the Chromecast features. 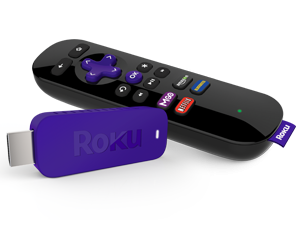 The new Roku Streaming Stick is dual-band wireless-N capable, providing high speed wireless connectivity. It also features 720p and 1080p video, as well as 5.1 and 7.1 audio (HDMI only). And how about that killer app? A remote control. Maybe not for everyone, but for those with kids or guests, the remote will free up your phone or tablet for your personal use while they watch whatever they want. Speaking of your mobile device: Roku has a free iOS and Android app that allows you to chose what you want to watch without navigating the on screen menu. But what about the Chromecast? The new Roku Streaming Stick allows YouTube and Netflix content to be “cast” straight to the TV the same way the Chromecast works. With how many partners Roku has, this may also expand the way Google is doing. So does the Roku Streaming Stick kill the Chromecast? Maybe. The Chromecast is only $35, but the Roku Streaming Stick is a bargain at $49. Every once in awhile, a new free trial for Hulu Plus crawls along, like the 60 days free offer at Bestbuy Mobile (now expired). 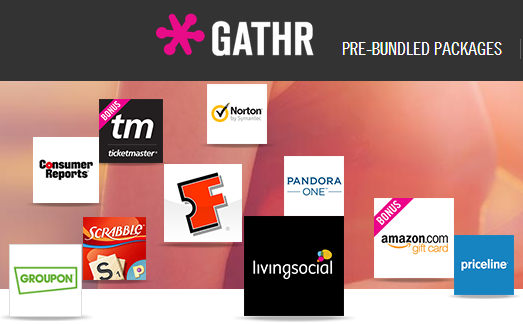 The promo page also offered free trials for Spotify Premium and Zinio digital magazines. All offers are for new customers only, or — psssst — just a new email address. This latest offer got me to bite, so I have once again joined the ranks of the Hulu Plus ‘elite’. What do you call a Hulu Plus subscriber anyway? 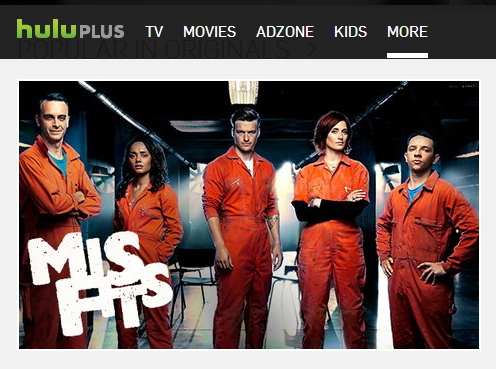 Hulu Plusser? Hu-loser? In any case, that’s me again. Yip-diddy-do-da, I can now watch Hulu from my Roku, my Dynex Wi-Fi Blu-ray player and my smartphone. Well, *I* haven’t really been watching it, as my leisure time is heavily restricted currently, but my lovely wife Tera has been giving it a go. Here are a few of the comments I received from Tera about her latest Hulu Plus binge. The last comment refers to the fact that the Hulu Plus service STILL has freezing and lock up issues when you play videos from a streaming media device such as our Roku and Dynex players. We experienced these same issues during our last Hulu Plus trial over a year ago. Netflix streaming works wonderfully on both of these same players, so we’re not looking at faulty hardware here. Our broadband speed is 40MBps down and the players use 802.11g Wi-Fi.